This chart sets the tone from the first measure with a cool fusion groove in the rhythm and trombones – cool bari part, too. 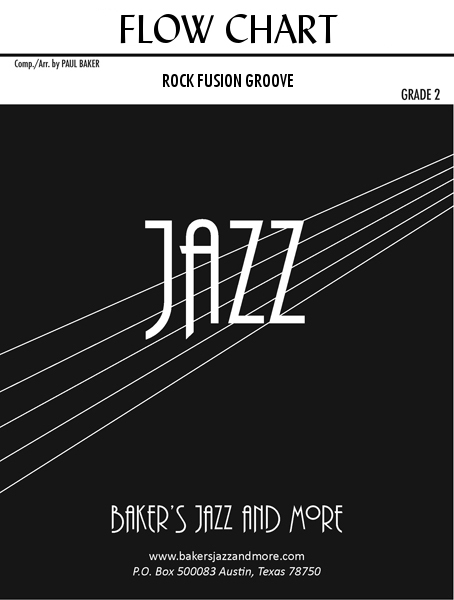 The feel changes back and forth throughout the chart from fusion to half time rock to a driving 4/4 rock and back again – a great showcase for the rhythm section! The drummer has several opportunities for two bar fills. Dynamic contrast plays a major role for the entire ensemble as it shapes the melody and background figures. Written solos are provided for tenor sax and trumpet, along with chord changes. Trumpet range is to written G, trombone range is F.